With the NetQin mobile anti-virus that runs on cloud computing technology, Nigerians Symbian(Nokia) and Andriod users can recover stolen phones by sending a short command via SMS to the device. The compatibility of the anti-lost feature on the application with every Nokia and Android phone out there gives maximum protection to every users in Nigeria and beyond where phone theft is highly experienced. The NetQin application enable users to lock, or delete contacts, messages and pictures by sending a command via SMS. The application provides security for all the android and symbian users with a powerful data/contact backup/recovery feature with Mobile anti-lost feature. The NetQin mobile Anti-virus V6.0 was designed to protect users from Viruses and malware, which makes it easy for the application to scan the viruses through its cloud computing technology and real time protection. It gives ultimate security to the users data with a cross server backup. Alternatively the user can also backup the contacts to the NetQin server or SD Card for recovery later. The installation is easy and straightforward, takes less disk space either (varying, depending on the platform). 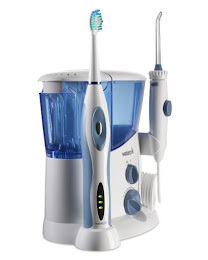 As installation proceeds, it prompts for an update of the virus definition files which is carried out over wireless connection or data plan as the case maybe. The software digs into the core of each file to scan it and uses battery power effectively, while the software real-time monitoring tool protects the phone from hidden threats. NetQin is sensitive to any data that is being sent over SMS, MMS, Bluetooth, infra-red, GPRS and other network connections, and claims to detect and block threats effectively. The mobile Anti-virus operates on the state of the art cloud computing technology that allows the user to have his virus database updated rapidly and quickly. 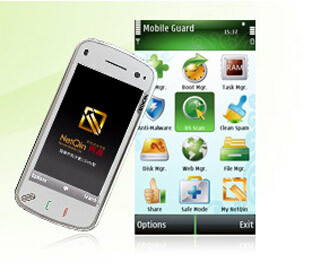 NetQin scans the entries real time that ensures total protection to the mobile device and its data. Users will have to create a unique NetQin account to backup and restore contact information across the Android, Symbian and iOS platforms by the user entering a valid e-mail address and password that is unique to that service. The most interesting part about this program is that it informs the user when the SIM card has been changed while detecting the location of the phone by sending a command via SMS to the device and the device responds by sending its location via SMS automatically. The other interesting part is that it protects the calls from being spied when the user turns on the anti-eavesdropping. It also triggers an embarrassing alarm which can not be stopped except if the secret code is entered by the real owner and that makes it uncomfortable for the thief even if the thief changes the SIM cards in the phone. The application can not be uninstalled or formatted except if the owner enters the secret code used while activating the application which makes the phone unusable. After testing it, i found it worked like described just by sending a simple commands associated with it via SMS. The Anti-lost feature is available to Pro members only, while the free trial of the antivirus is downloadable via Andriod store, Ovi store and the NetQin site. Bluehost is one of the best web-hosting provider for any hosting services you might need.